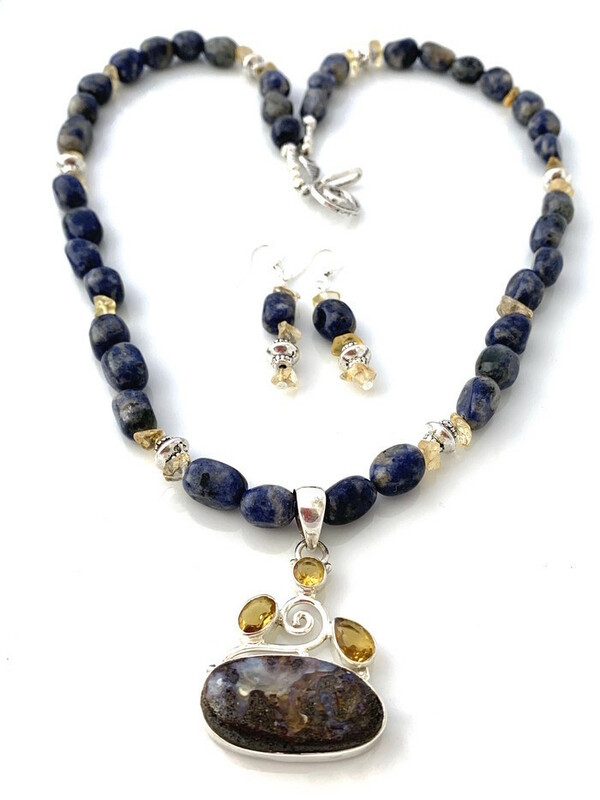 Natural BOULDER OPAL & CITRINE 925 Silver Pendant, SODALITE Necklace & Earrings. 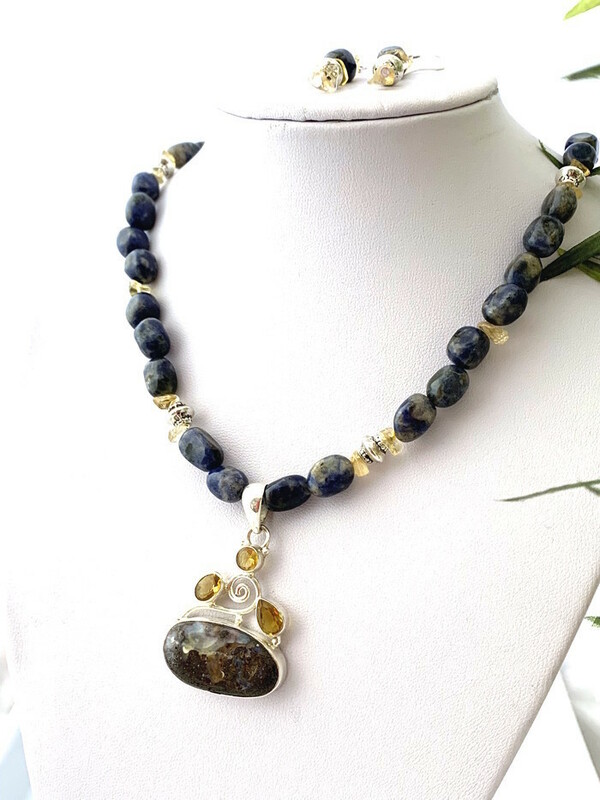 Absolutely One Of Kind carefully handmade gorgeous necklace with a natural Boulder Opal cabochon (2.6 x 1.4cm) with a milky bluish stream in the the dark brown boulder opal. 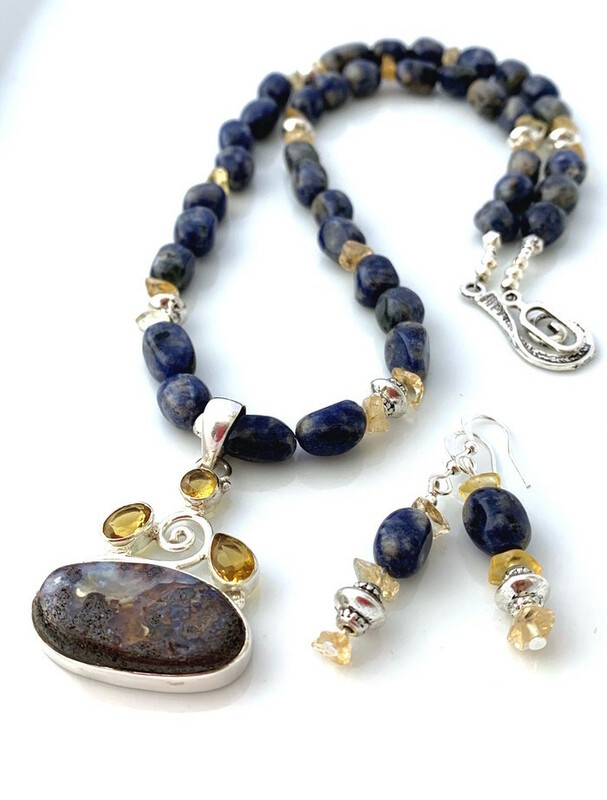 The rustic nugget-shape gemstones are natural Sodalite and citrine chips along. Australian Boulder opals are the second most valuable type of opal. Boulder opal is a thin layer of precious opal in cracks and fissures that is indivisible from its ironstone matrix, forming a natural doublet. It is cut into shapes that follow its natural undulations. It is found only in Queensland. 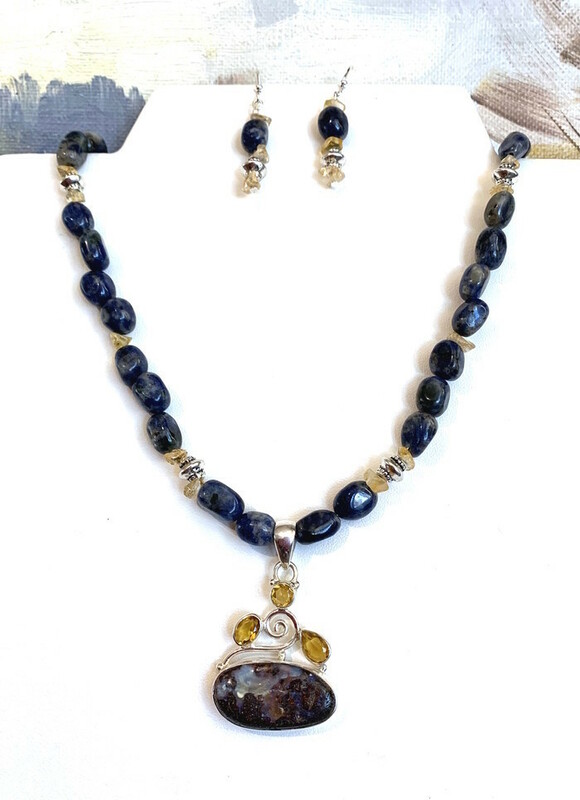 This necklace will be carefully wrapped in a beautiful brocade Asian pouch bag.